The known facts regarding the Russia investigations continue to contradict the claims of partisans on both sides. Michael Flynn’s guilty plea and deal with Robert Mueller further contradicts the claims of Trump supporters that there is nothing to be investigated. On the other hand, the evidence continues to either fail to substantiate or outright contradict the claims from pro-Clinton partisans that the matter is based upon a conspiracy which altered the results of the 2016 election. During “World News Tonight,” ABC News investigative reporter Brian Ross said the source who had provided the initial information for his story later told him that it was as president-elect, not as a candidate, that Trump asked Flynn to contact the Russians. Several hours later, a spokesperson for the network told CNN that Ross would be issuing a “clarification” on “World News Tonight,” which airs at 6:30 p.m. ET. 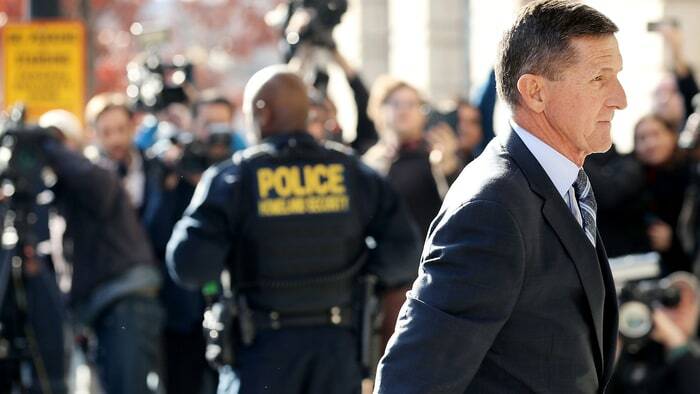 Former National Security Adviser Michael Flynn agreed to a plea deal with prosecutors in special counsel Robert Mueller’s Russia probe. It’s the biggest development yet in the investigation into potential collusion between the Trump campaign and Russia — and the legal move that poses the most direct threat to the Trump presidency itself. Flynn pleaded guilty to a single count of lying to the FBI on or around January 24 about conversations with then-Russian Ambassador Sergey Kislyak in December 2016, the Office of the Special Counsel announced Friday. It’s important to note that he did not admit to colluding with Russia during the 2016 presidential election. While there might be legal issues with members of the incoming Trump administration trying to negotiate with Russia before Trump took office, along with legal problems arising from the cover-up of such contact, efforts “focused on improving relations with Moscow” after the election are quite different from the Democratic claims of a pre-election conspiracy to affect the election results. The improvement of relations with Russia might be counter to the goals of Hillary Clinton and her neocon allies who seek regime change in Russia, but improving ties is hardly a sinister goal on the part of Trump. Democratic partisans might claim that this was being done in return for support from Russia during the election. However, there is no evidence either of actions by Russia which altered the election result, or such a quid quo pro between Trump and Russia. Even if such evidence should arise in the future, it is clear that Democrats were making such claims without evidence at the time. As was revealed in Shattered, Hillary Clinton devised a strategy of blaming others, including Russia, for her loss within twenty-four hours of losing. The claim that Russia affected the election result was largely based upon the Steele Dossier. Clinton and the DNC had covered up their role in paying for this report for months, casting doubt on its reliability.